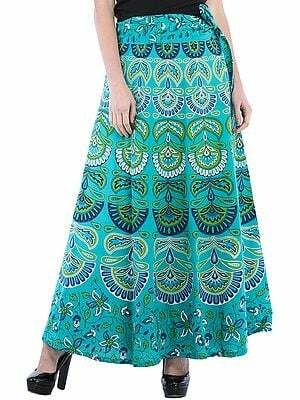 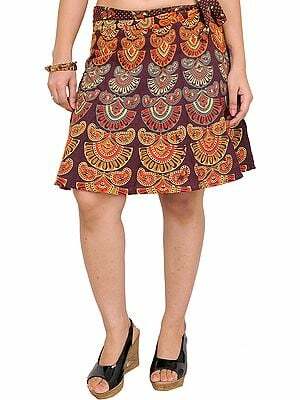 Wrap-around skirts are classic. 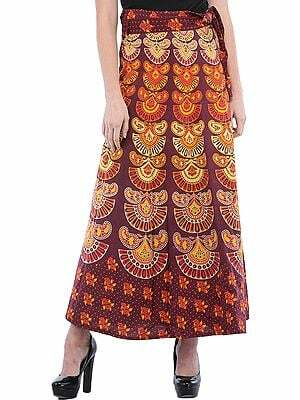 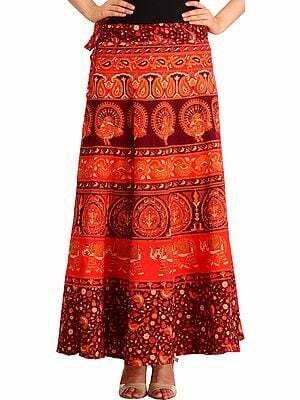 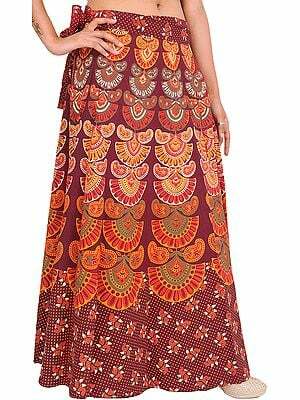 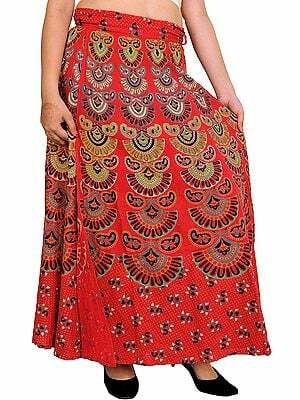 The perfect medium to showcase your taste for ethnic fashion. 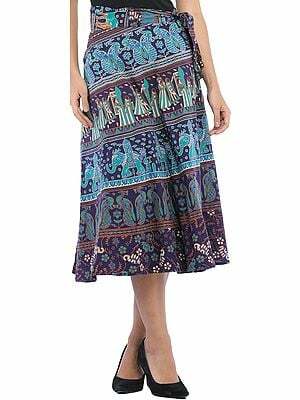 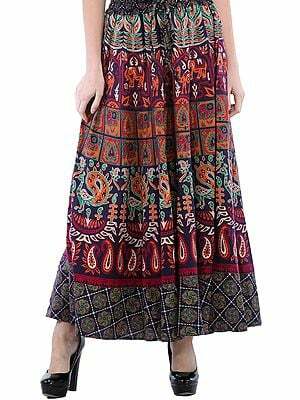 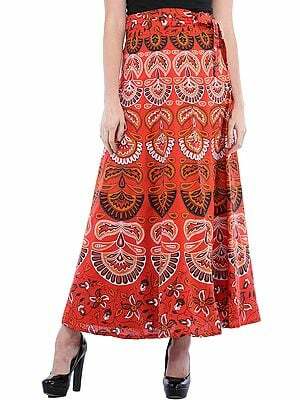 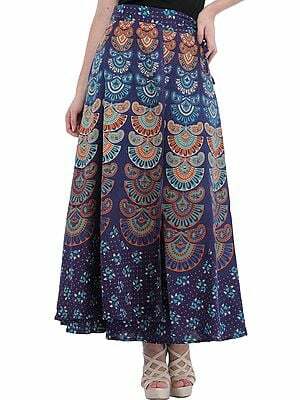 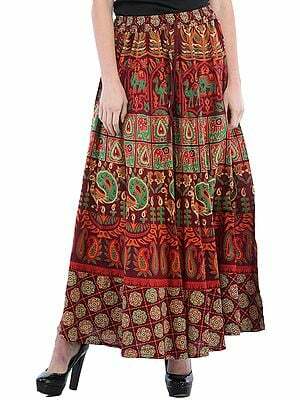 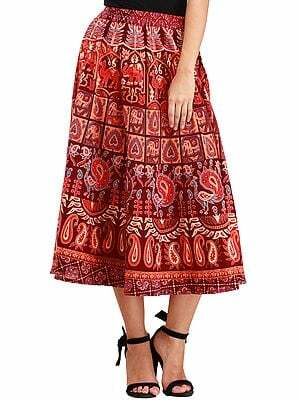 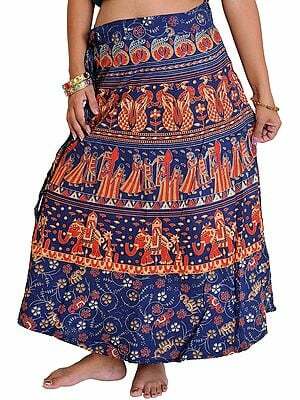 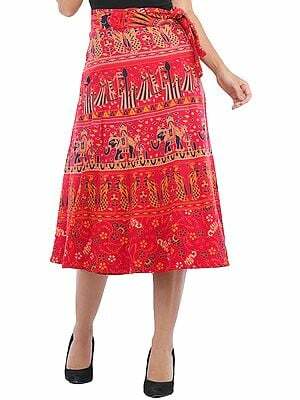 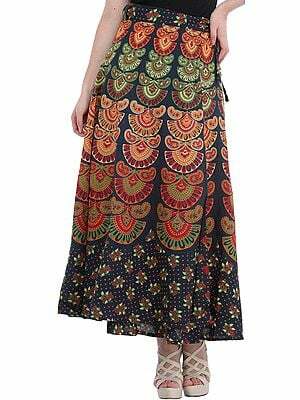 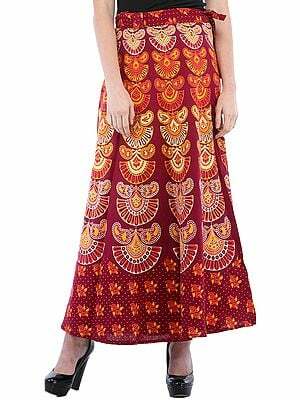 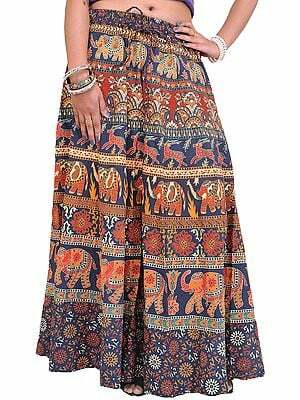 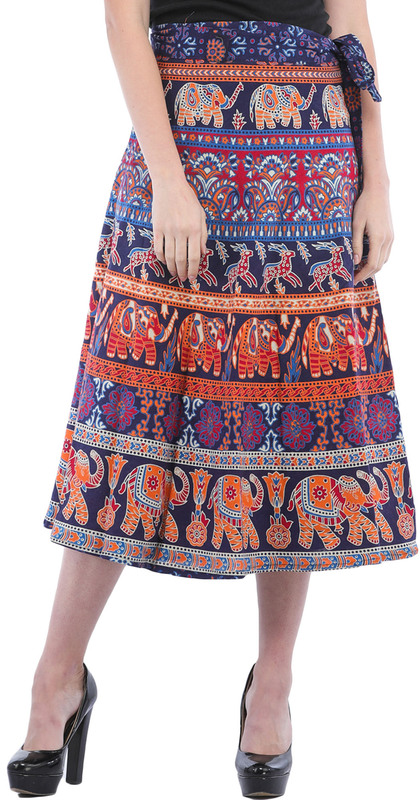 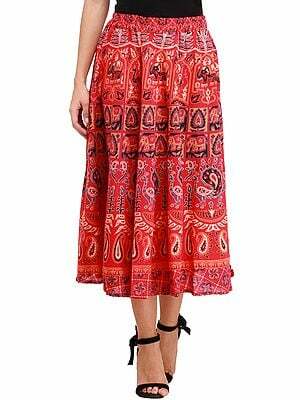 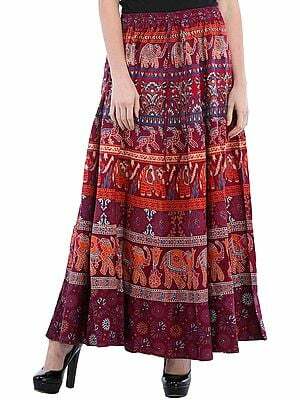 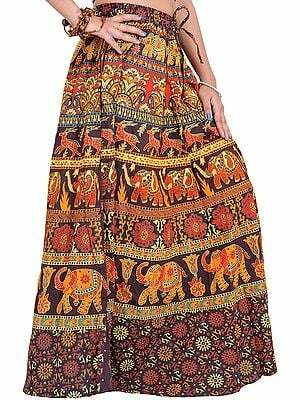 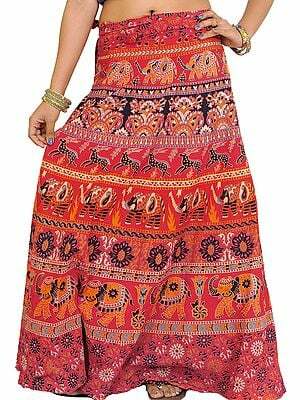 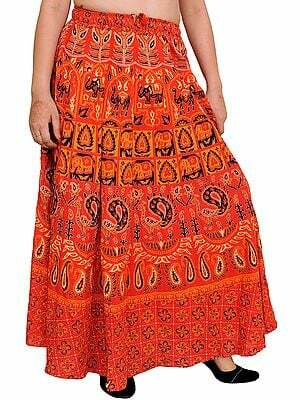 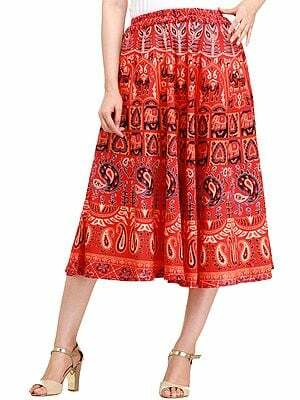 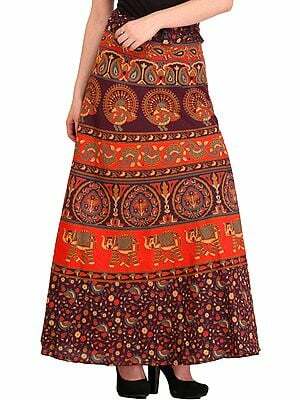 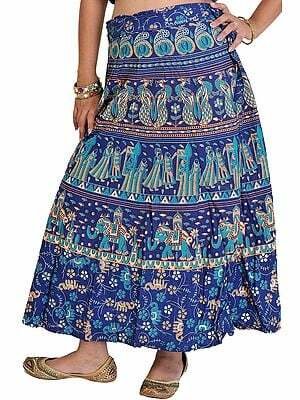 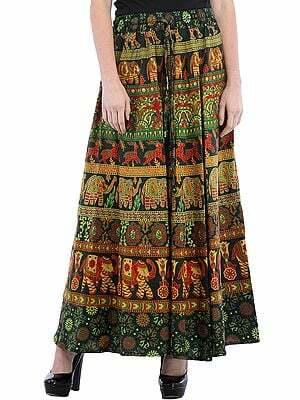 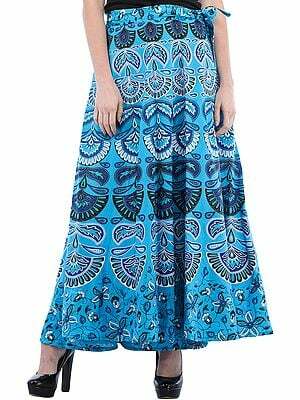 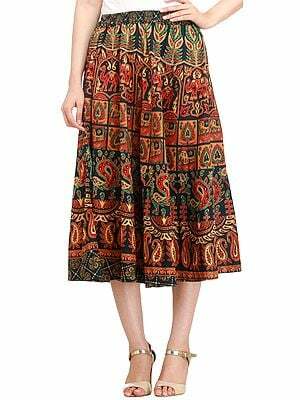 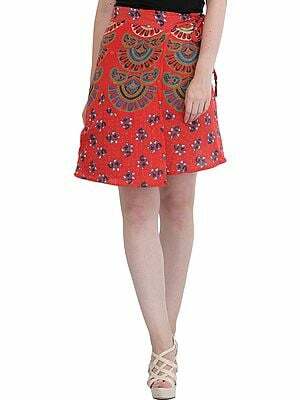 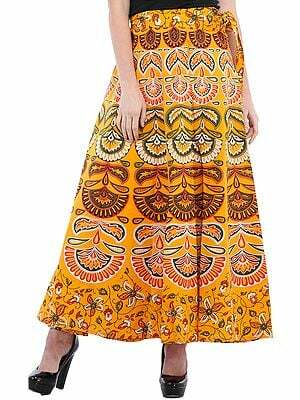 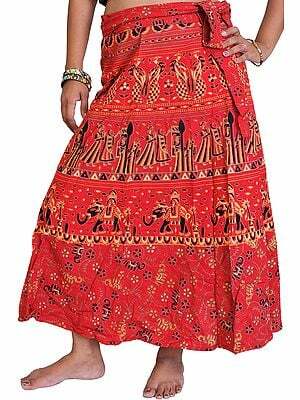 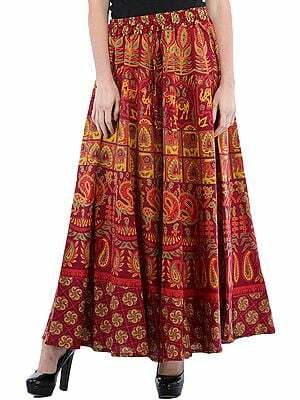 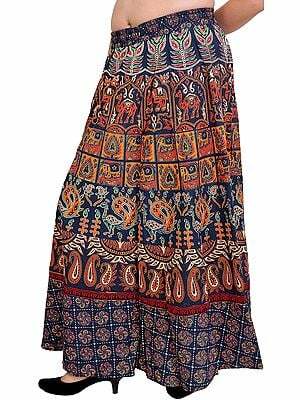 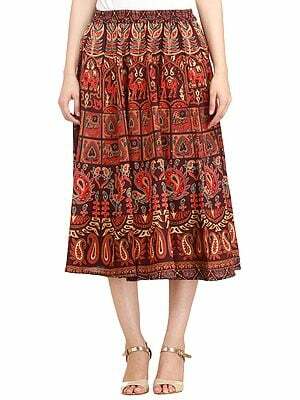 Drape around your hips a plethora of motifs that make wood-block printing endemic to Sanghaner - heavily ornamented elephants, prancing deers, and ornately bunched up florals. 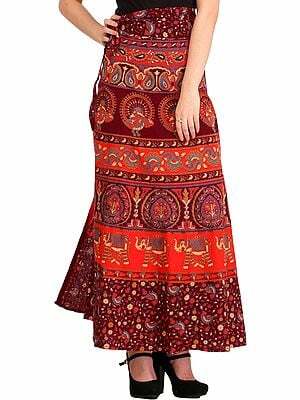 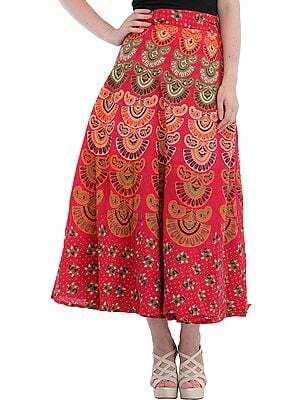 Of a length that is not too new-age nor unfashionable, this skirt will shortly become a wardrobe staple.